Ramblings of an Opinionated Bong...: Why do I feel that I have been cheated by the IPL? 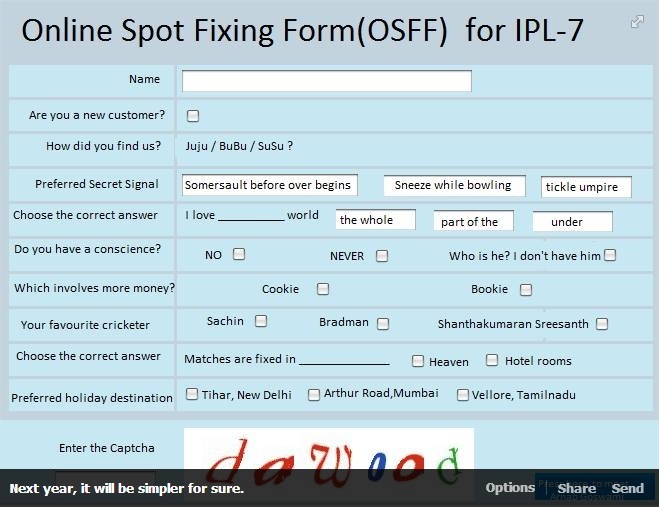 Why do I feel that I have been cheated by the IPL? It was a good match with numerous twists and turns, but ultimately, the Mumbai Indians ended up comprehensive winners against the Chennai Super Kings. The God of Indian cricket finally got the one final memorabilia that was missing from his trophy cabinet- the IPL Winner's medal. Despite all the glitz and glamour of the T20 extravaganza, and some good cricket played over the course of the 76 matches, the spot-fixing controversy seems to have left a bad taste in the mouth. I recently wrote an article 'Have We Been Cheated' and somehow I can't get over the nagging feeling that indeed I have been cheated. I feel cheated by the bowlers who intentionally bowled badly to concede runs, I feel cheated by the batsmen who intentionally played slowly, I feel cheated by those fielders who intentionally let balls slip or missed catches. In fact, I have been feeling cheated ever since new broke of the spot-fixing scandal. However, I was willing to accept that these incidents were one-off; but this thin thread began to fray when I read a certain message on WhatsApp- certain bookies had predicted the outcome of the final four knock-out games of the tournament. The results continued as predicted, and I only grew more frustrated with the situation. Slowly, things began to unravel as the net seemed to be cast farther and wider, involving not only the players and bookies, but Bollywood actors and franchise executives as well. It seemed that the deeper the police delved into the matter, the murkier the waters got. Now that all the predictions have been matched, and the Mumbai Indians have finally lifted the trophy at the Eden Gardens, I still am skeptical as to whether the victory was a product of skill and perseverance on the field or a predetermined script off it.